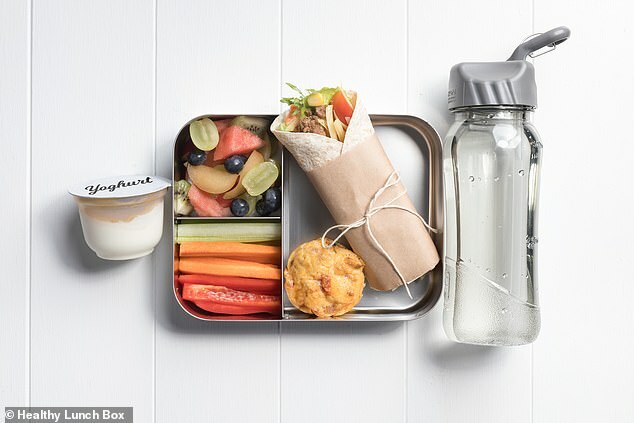 As children all over Australia prepare to start a new school year, busy parents are wondering how they can improve their kids’ lunch boxes. 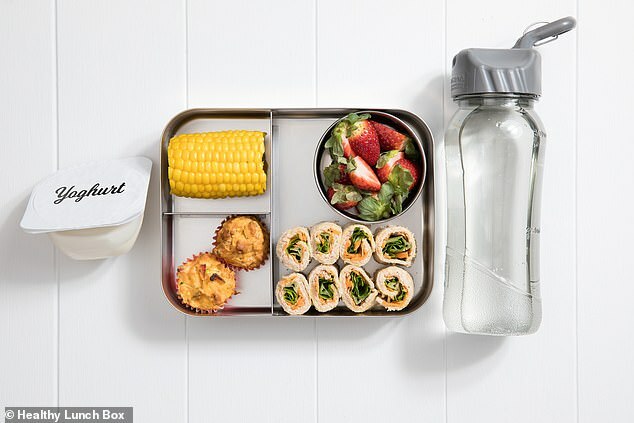 And health experts have put together the perfect, nutritionally balanced lunch boxes to help families prepare fresh, healthy and exciting foods for their children. As modern school canteens succumb to strict health guidelines, parents can ensure their children are in tip top shape by packing a variety of nutritious lunches from each of the five food sources. 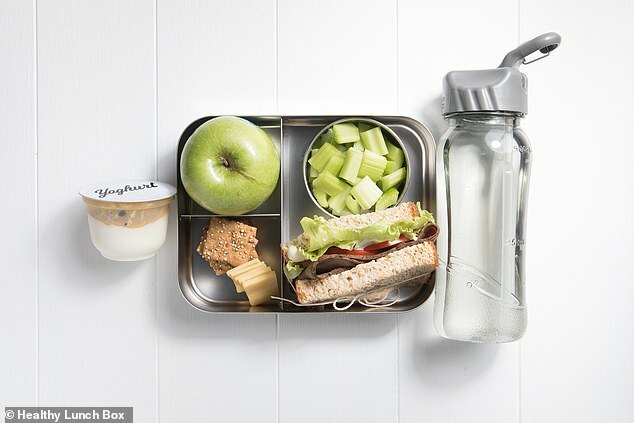 Healthy Lunch Box, an initiative from Cancer Council NSW, explains the ideal lunch box should contain a source of fruit (F), dairy (D), bread and cereals (B&C), vegetables and salads (V), meat (M) and water. 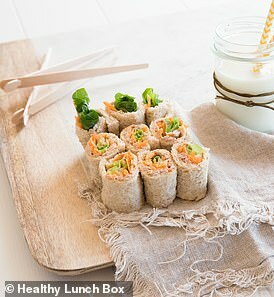 To offer a little inspiration, FEMAIL has rounded up some healthy lunch box ideas. So what makes a healthy lunch box? As a major energy source for the brain and body, grain foods such as bread – wholemeal, multigrain, white, pita or other flat breads makes the perfect school lunch. Rice, Pasta, crispbreads and rice crackers are also good options too. Aim to include one to two serves of fruit per day as it contains vitamins and fibre. Suitable examples include whole fruits or cut up and placed in containers. For vegetables, include snacks like cherry tomatoes, capsicum strips, snow peas, corn cob, as well as carrot, celery or cucumber sticks. You can also include salad in sandwiches or on the side. 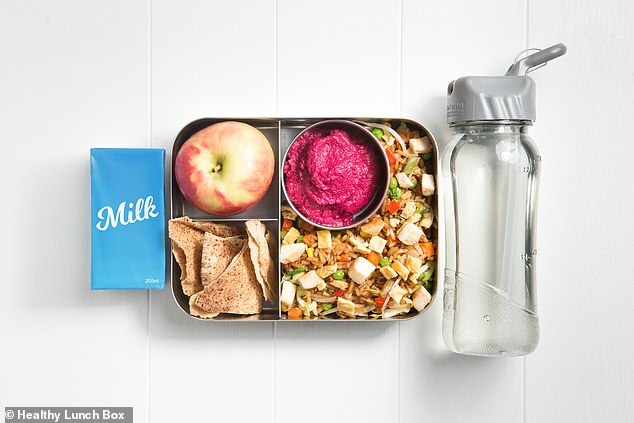 For a source of calcium, milk poppers, cheese sticks or a tub of yoghurt are perfect choices for the lunch box. And finally, add a protein for growing bodies. Lunch boxes can include lean meats, chicken, tinned fish such as tuna or salmon, boiled eggs, baked beans, hommus, nuts and legumes. Tip: Add avocado for a creamy alternative and thin cucumber strips for crunch. 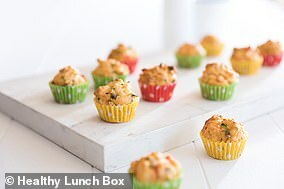 Cancer Council has created an exciting new website full of recipes, ideas, tips and even an interactive builder to help busy parents pack the perfect lunch box. The Healthy Lunch Box shows parents how easy it can be to incorporate more fruits and vegetables – and pack a lunch box that kids will love to eat while setting up habits that have lifelong cancer prevention benefits. 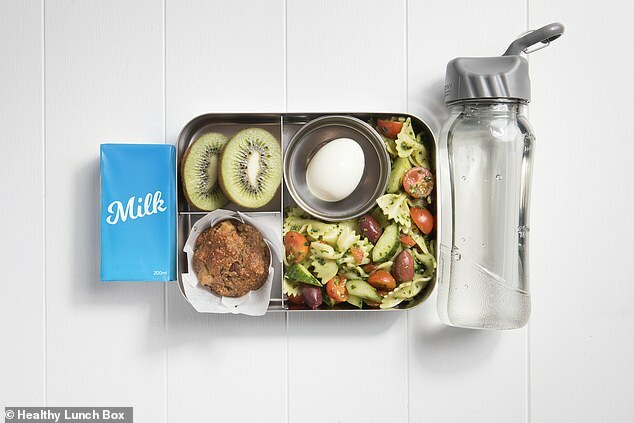 Cancer Council NSW’s Nutrition program manager Wendy Watson said the website helps parents with quick and easy access to healthy recipes and inspiration on how to vary lunch box content. ‘Parents want to ensure they are providing their kids with the energy and nutrients they need to learn, play and grow, but with increasingly busy schedules this can often be difficult,’ Ms Watson said. ‘We know that a child will eat around 2,500 lunches throughout their time at school, so we wanted to make it as simple as possible for parents to make healthy eating easy, interesting and engaging for their kids. ‘The lunch box builder is a great way to get your kids involved in what’s in their lunch and it’s a great learning tool, even for parents and the fussiest of eaters. Game of Thrones season 8 spoilers: Will the Doom of Valyria mystery be solved?